Hip Baby Blog: It's Spring and it shows! 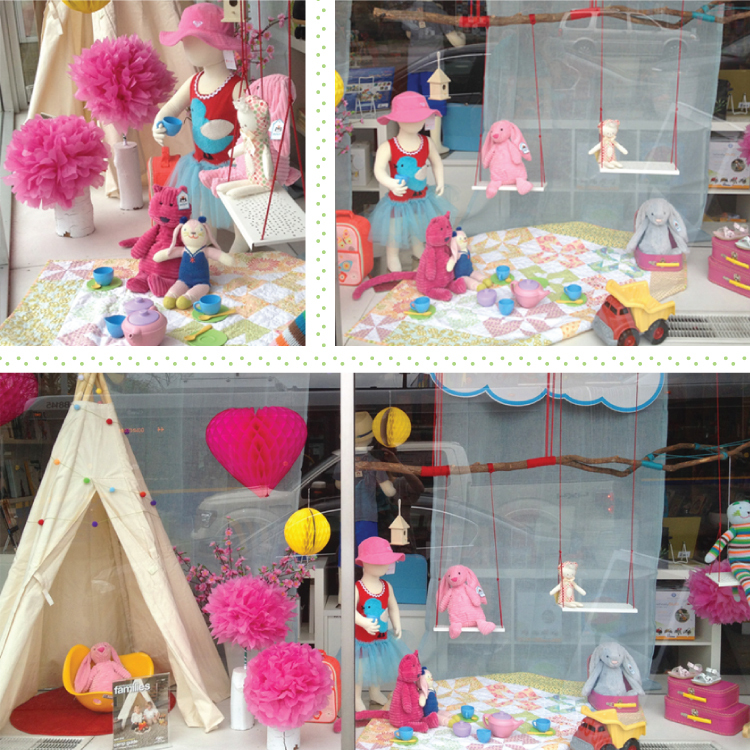 All you have to do is take a look in the Hip Baby window and know that Spring is here! An abundance of colour and fun and the gang's all here for a tea party. Bashful Bunny on a swing with Cordy Roy Cat and Mirabelle Bunny serving up some tea in a Green Toys Tea Set, while another Bashful Bunny lounges in a Bilibo under the shade of a Great Plains Teepee. And if you plan on going on a trip to the beach don't forget your Salt Water Sandals and play in the sand with your Green Toys Dump Truck! So much summer fun! Don't miss the West Coast Families contest! Your chance to win a Great Plains Teepee!